When round steel tubing on your balcony just doesn’t work with your individual sense of style, consider the alternative of stainless steel rectangular tubing for your indoor and outdoor balustrades instead. Providing a vastly different aesthetic appeal to traditional round handrail tubing, the rectangular stainless steel tube adorning your balustrade presents an image of strength and stability. Find superior quality stainless rectangular tubing for your next construction project at Keble’s Trading. 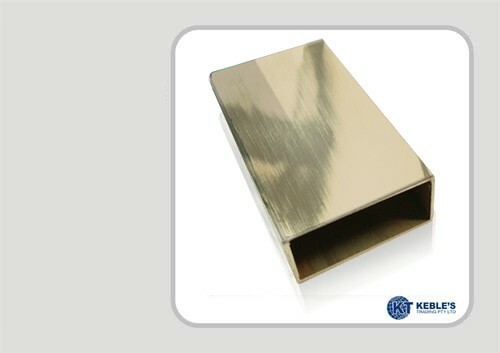 Keble’s Trading can precision cut rectangular steel tubing to meet your specific size requirements. Choose from a mirror or satin finish according to your preferences. Fashioned from marine grade, virtually rust-proof 316 stainless steel, our rectangular tube comes in a variety of sizes ranging from 50.8 x 10 x 1.5mm to 50 x 25 x 1.6mm. Requiring little maintenance other than the occasional clean, our stainless steel rectangular tubing is available for delivery Australia-wide. Place your order online, call us on 1800 067 687, or visit one of our four stores conveniently located across Melbourne.